The Post Office has been around for 201 years but they have embarked on a process of modernization, Postmaster General Major Allan Wayne Smith said earlier this week in a speech at the Hamilton Rotary Club. Major Smith said, “It is no secret that for the past several years the Postal Sector worldwide has experienced a growing deficit resulting from increasing costs and declining mail volumes & revenues. The Bermuda Post Office has been no exception. “In 2009, the Post Office legislation was amended to deal with the negative effects caused by the incorrect addressing of mail.We re-enforced the requirement for numbers to be erected on buildings as well as for mail boxes and cluster boxes to be placed on premises. “By delivering mail as addressed, with properly located mail boxes, the Post Office has significantly reduced the amount of time spent on trying to find the recipients of mail and has focused its efforts on providing a more complete, consistent and efficient delivery of mail. “We also have been able to relax our delivery policies and reduce our staffing levels while continuing to deliver mail with minor mailing infractions,as we are now dealing with significantly smaller volumes of incorrectly addressed mail, since the amendments to the legislation, in 2009. Major Smith also noted that the Post Office currently delivers 99 % of all mail within four working days or less, with the majority [95%] delivered within one and two days. “The Bermuda Post Office has reduced staffing from 232 to 196 since November 2011 to present,” continued Major Smith. Madam Past President Mrs. Sharon Jacobs, Madam President Elect Mrs. Teresa Esposito, Rotary members, Distinguished Guests and Friends, Good Afternoon. I thank you for this opportunity to speak to you about the Bermuda Post Office, to highlight some of the changes that have taken place and to share with you a few of our plans for the future. The Bermuda Post Office has been around for 201 years, but we have embarked on a process of modernization, aimed at transforming the post office into an effective, commercially focused organization,that meets the needs of both its domestic and international customers. It is no secret that for the past several years the Postal Sector worldwide has experienced a growing deficit resulting from increasing costs and declining mail volumes& revenues.The Bermuda Post Office has been no exception. In 2009, the Post Office legislation was amended to deal with the negative effects caused by the incorrect addressing of mail.We re-enforced the requirement for numbers to be erected on buildings as well as for mail boxes and cluster boxes to be placed on premises. By delivering mail as addressed, with properly located mail boxes, the Post Office has significantly reduced the amount of time spent on trying to find the recipients of mail and has focused its efforts on providing a more complete, consistent and efficient delivery of mail. We also have been able to relax our delivery policies and reduce our staffing levels while continuing to deliver mail with minor mailing infractions,as we are now dealing with significantly smaller volumes of incorrectly addressed mail, since the amendments to the legislation, in 2009. Members of the public may not know that the Post Office currently delivers 99 % of all mail within four working days or less. It should be noted here that the majority (95%)of this mail is delivered within one and two days. My vision for the Bermuda Post Office is to deliver to the Government and people of Bermuda a more innovative, customer focused and sustainable postal service. The Bermuda Post Office has reduced staffing from 232 to 196 since November 2011 to present. We have consistently achieved a successful delivery rate of 95 % of letter mail in 2 working days or less. We have exceeded international delivery targets for our express mail delivery products. The target for this priority delivery is 95% on time delivery. Currently the achieved on time delivery stands at 98%. The Bermuda Post Office consistently meets the UPU standard of 94 % accuracy for its parcels. Recent surveys show that 85% of our customers are satisfied with service provided by the Bermuda Post Office. The Bermuda Post Office has completed customer service training of staff at all levels and we have significantly reduced the number of complaints. The Post Office has made great strides in the automation of its business processes. The Point-of-Sales system automatically processes daily sales at the GPO and sub-post offices in a timely manner and has greatly reduced the number of human errors. The Post Office now uses an automated postal accounting software system that is used worldwide, to record the mail flows between countries and calculates the fees for those services. This has reduced processing time, human errors AND it records revenues more accurately. The Bermuda Post Office maintains a commitment to identifying new revenues to assist in reducing the financial deficit. Our Philatelic Section expanded its retail sales to include combined packages of post cards with self adhesive stamps enclosed. These items are sold at various retail outlets and stores throughout the Island. We have also produced souvenir mugs and paper weights for sale to the public through the Philatelic Dept. located at the General Post Office in Hamilton. The BPO has recently launched a marketing and social media strategy to promote its products and services, which is one of the reasons that I am here today. One of the cornerstones of our efforts to re-invent the Bermuda Post Office is to modernize traditional mail communication by providing a platform of high value electronic messaging and document services that complement our traditional high value postal services.The Bermuda Post Office REGISTERED EMAIL service platform is built upon RPost’s technology, which has been the worldwide standard for more than 10 years, and has been used by the Bermuda Government for nearly 5 years. 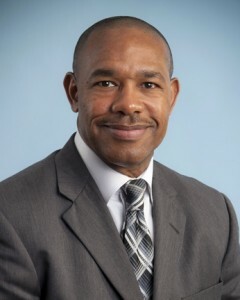 This technology will permit local citizens and businesses, as well as international organizations to do more business faster, at less cost, with legal enforceability and more security.This initiative will showcase to the international community that their operations in Bermuda are only a click away; and are an extension of their core operations. Bermuda is open for business – for e-business.The Post Office is offering free trials –click the REGISTERED E-MAIL button at the top right corner on the home page of our website at www.bpo.bm.Companies may also contact our offices directly and we will be happy to arrange a special presentation or a webinar to outline the various features of this technology and the ways it can be customized for your business needs. There is a great demand in Bermuda for express freight and parcels to the Island. The Post Office provides value for money spent on the shipping of goods purchased overseas back to the Island.Goods imported through the Post Office attract the lower customs duty as opposed to the 25% harmonized custom duty for goods purchased overseas and brought in through the airport when travelling.Mail items can also sent overseas by our Express Mail Service. EMS is a secure international express mail service for documents and. Residents or businesses can drop off their documents or package at any post office in Bermuda and request the Express Mail Service. Documents and packages will reach the international destination within 4 to 7 working days, for up to half the price of the courier companies.There are no fuel surcharges or membership fees.EMS is a globally recognized product that is available in 145 countries. The principal demand for this service is for the USA, Canada, Caribbean and the UK.However, the Bermuda Post Office also delivers to Australia, New Zealand, most of Europe, South America, Asia and the rest of the world. BPO EXPRESS MAIL and PARCEL SERVICES are significantly cheaper than private couriers and provide significant cost savings to businesses and residents. Finally, the Post Office offers direct mail marketing to over 38,000 households and businesses, that has proven to be a cost effective way for organizations and businesses to promote their products and services. We even offer discounted rates for registered charities. The Bermuda Post Office is improving efficiency in various operations, improving customer service and marketing our products and services to increase revenue. There is much work that still needs to be done and I would like to thank the public for their continuing support. In closing, I would also like to the Staff for working with me to accomplish our goals and objectives and to realize the vision of making the Bermuda Post Office a more innovative, customer focused and sustainable postal service. So the only new initiative is the sale of mugs and paperweights? if could deal the small number of staff that have a ‘tude which has crept into Bermuda Post offices in recent years I’m sure many would be grateful. ….. while continuing to deliver mail with minor mailing infractions, as we are now dealing with significantly smaller volumes of incorrectly addressed mail, since the amendments to the legislation, in 2009. - Also as a result of that same 2009 legislation and the inflexibility demonstrated by the BPS in returning mail because of ‘minor mailing infractions’ I bet they are dealing with a significantly smaller volume of mail and as such less revenue as well!! Much more than the 15% lower staffing levels can offset in savings I would bet, talk about cutting off your nose to spite your face. Case in point; prior to 2009, 99% of our billing/payments was sent to clients & vendors using the BPS, today and since about 2011 we now send 99% of our Billing and letters via email and vendors payments via online banking. You can bet many more small and large businesses locally who quickly became fed up with the BPS’s actions did similar. There was far too much undelivered mail and mail that was never returned to the sender because of those ‘minor mailing infractions and or disputes over mail box locations’. Keeping in mind I would bet much of that mail could still have been delivered without too much extra cost even if large amounts needed extra sorting/confirmation by the probably largely blameless BPS ‘delivery’ staff who would have known exactly who the mail was intended for despite the minor infractions. Certainly this was no more expensive than the vast amounts of money that would have been spent ‘returning it to sender’, particularly any that was overseas mail, which is exactly what my friends in the BPS have confirmed by the way. Congrats on the improvements though, sighs. When and where did you get your numbers from? Poor service I deliver the mail that you put in my mailbox. You know what really drives me nuts about this whole thing? For YEARS I would get Christmas cards from a friend in the UK, who would rarely (if ever) put my surname on the envelope but would ALWAYS just put the road name on it. We had the same mail person for those years…she KNEW who we were and for whom the mail was intended, but by their current rules she’s not allowed to deliver. Wayne smith is part of the problem, isn’t that right DJ ?!! Perhaps the Postmaster General could start by doing something about the really unpleasant staff at one certain post office. Never a please or a thank you but plenty of attitude. I have never been able to figure out why a PO box, which saves the PO labour, costs so much money. Now that all of my business & billing mail has been changed to email, recently, there really is no reason to pay for the PO box. Let them actually deliver the little mail that is left. The PO largely got themselves in this situation as laid out by previous posters. I wonder what part of “we don’t need you” the postmaster does not understand? Here’s an idea, now that everyone’s hand delivered mail has been largely replaced by email delivery of bills / invoices etc. (which by the way only takes seconds to deliver and rarely get lost)why doesn’t the postoffice get rid of all the mail delivery people and ask people to go to the post office to pick up the remainder of their mail? The Post Offices can increase their opening hours to convenience those of us who work in the City and sort and bundle our mail and tie it up in a nice pink ribbon for when we pick up and hand it over with a smile on their face and may be a cookie? The post office has the opportunity to get into the courier business as they already have the infrastructure in which to do so. The problem is the lazy staff, not all but enough to keep this from happening. The BPO can also charge much less rates then Fedex, IBC or DHL and still make money. I told them so. Get a new postmaster, get new rules, have to be seen doing his job, regardless .